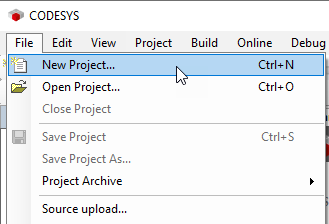 Before you begin: Open the CODESYS Development System software on your Windows computer. 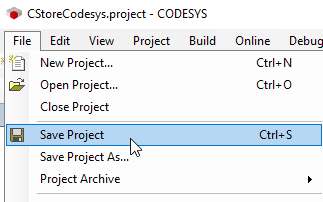 Several project templates are available from the CODESYS Development System. You’ll use the Standard project template to create a project. There are five steps to create a new project shell. 1. Select File > New Project. 2. Select a template and name the project. a. 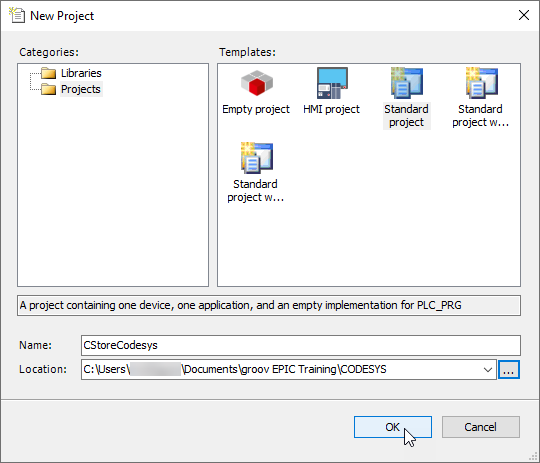 Select the Standard project template. b. Enter a name for your project. c. Navigate with to the directory where you want to save the file. 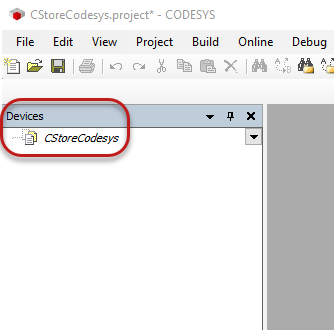 Notice the project name is listed in the Device Tree. 3. 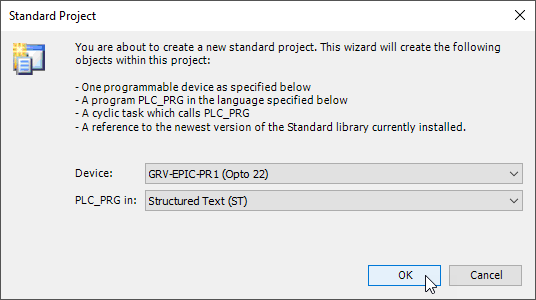 Select the Device and program language. a. 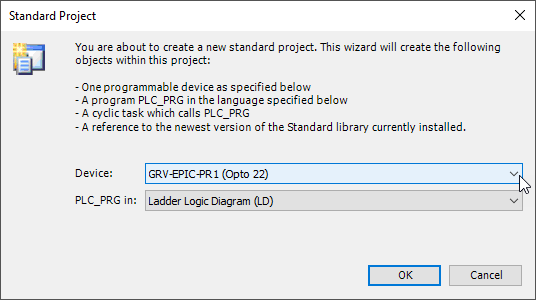 In the Device field, select the groov EPIC unit, GRV-EPIC-PR1 (Opto 22). b. Select the programming language you want to use with this device. 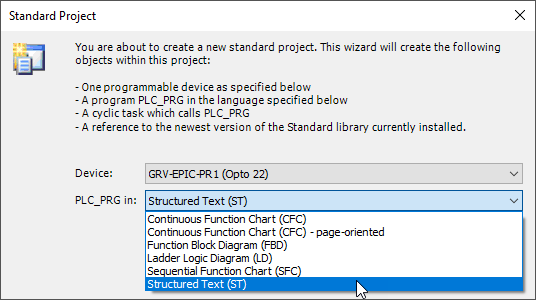 For this example, in the PLC_PRG field, select the Structured Text program language. c. Click OK in the Standard Project window. 4. The Development System Environment loads. 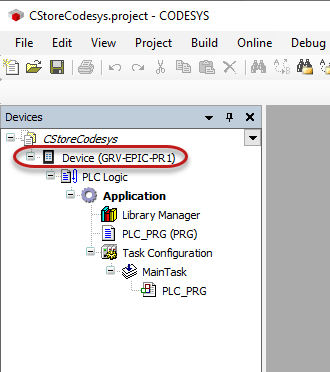 Notice that the groov EPIC device you added is listed in the Device Tree. 5. From the File Menu, select Save Project. You’ve created a standard project shell and are ready to configure the hardware for the project. The hardware includes the controller, the I/O, and the communication interface used by the controller. Steps to create a New Project Shell.